A memoir about what it means to love someone in a second language. The author finds this out for herself when she falls in love with a frenchman, wondering if there are things she doesn't understand about him becasue she has never spoken to him in his native tongue. I would recommend Lauren Collins’s lovely memoir to anyone who has ever tried and failed to learn French ... 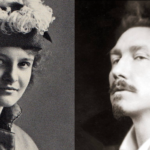 It is both a highly engaging primer on language and a touching and funny love story ... The snippets of language anomalies are fascinating ... This charming book is not just about the language gulf, but the gulf between all human beings, and how we all try to learn to walk in another person’s shoes. ...[an] engaging and surprisingly meaty memoir ... Readers looking for the romantic spark of classic cross-cultural love stories featuring an effusive American and a restrained Frenchman will find flashes of it here...But there's far more to Collins' book than screwball comedy, and those who have weathered linguistic crossings themselves are apt to find particular resonance in its substantive inquiry into language, identity, and transcultural translation. Collins’s book turns out to be far more ambitious than the average memoir about moving abroad. Its first pages are not a good gauge of what is to come: a thoughtful, beautifully written meditation on the art of language and intimacy. The book unfolds like several books in one: on moving abroad, on communication in human relationships, on the history of language and, in the end, on the delights of cross-cultural fusion ... the woman sure knows how to close a paragraph. I often found myself shaking my head in admiration at her sentences, the way her ideas would cohere ... By the end, however, I was somewhat confused as to the larger thrust of When in French. Foreign languages do not seem to pose that terrible a threat to Collins’s relationship, and thus the stakes of the enterprise feel low. 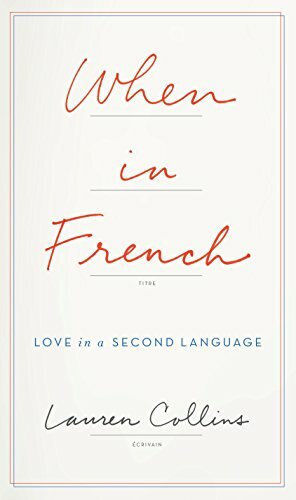 What did you think of When in French: Love in a Second Language?